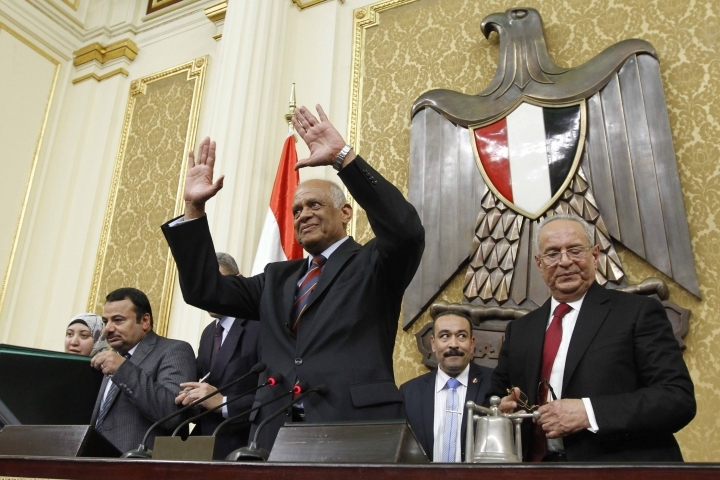 CAIRO — Egypt's parliament speaker said in comments published Wednesday that he wished to see illegal foreign currency dealers executed, arguing that the nation was facing an "economic war" that must be decisively confronted. The speaker, Ali Abdel-Al, also called for the closure across the country of all foreign exchange bureaus, which are accused of speculating down the value of the Egyptian pound, describing them as a "cancer" in the nation's economy. "Egypt is being subjected to an economic war and a conspiracy that we must decisively confront to strike a balance between security requirements and the rights of citizens," he said, according to the flagship state newspaper Al-Ahram. His comments were widely reported in the Egyptian press. Abdel-Al spoke Tuesday in parliament, a 588-seat chamber packed with supporters of President Abdel-Fattah el-Sissi, after lawmakers voted to toughen fines and prison terms for illegal trading in foreign currency, with offenders now facing up to 10 years in prison and a fine of up to five million pounds (some $570,000). Even though authorities are unlikely to introduce capital punishment for illegal currency dealers, the speaker's comments mirror the extent of concern felt by the administration over the falling value of the Egyptian pound as well as Abdel-Al's own fiery temperament. The latest example of Abdel-Al's short temper came last week, when he abruptly interrupted a lawmaker who inquired about whether retired military officers now in government jobs are entitled to a pension. The lawmaker, yelled the speaker, should not "talk like this about those in the armed forces who put their lives on the line." 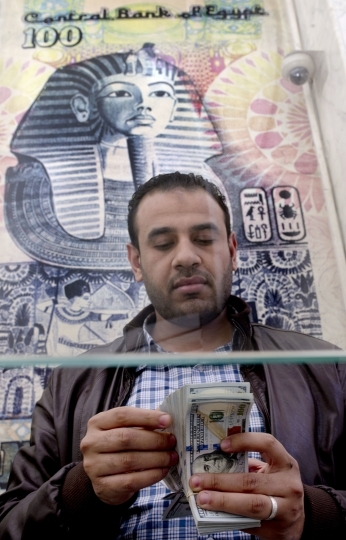 Determining a realistic value for the Egyptian pound is a key part of ongoing negotiations, now in their second week, between Egypt and the International Monetary Fund over a $12 billion loan over three years to rescue the country's ailing economy. 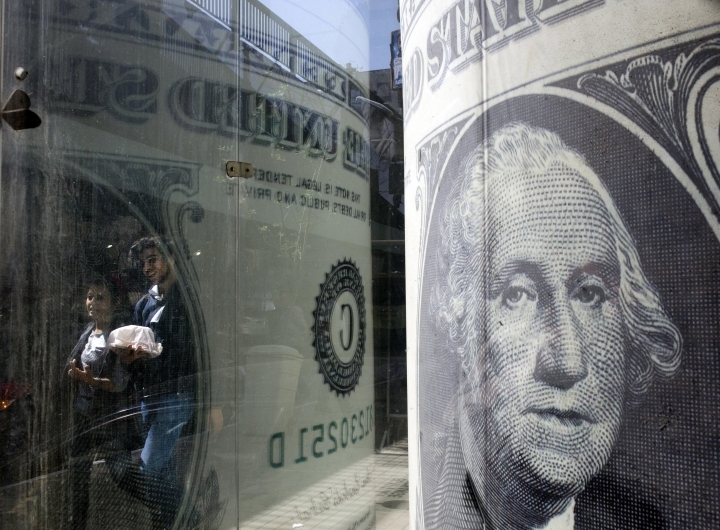 According to media reports, IMF delegates see 11.60 Egyptian pounds to the U.S. dollar as a realistic exchange rate — that is nearly three pounds more than the current official rate of 8.87 pounds. A thriving black market offers up to 12.50 pounds to the dollar, attracting billions of dollars away from banks. The exchange rate is crucial to Egypt, which heavily depends on imports, not just of staple food items but also industrial components and raw materials to keep the manufacturing sector going. Much of the imports needed by the private sector are financed by dollars bought on the black market, a practice that has in recent months sent prices soaring. Authorities have in recent weeks cracked down on illegal foreign currency trading, shutting or suspending dozens of exchange offices, arguing they were damaging the economy through speculating down the Egyptian pound. The foreign currency shortage is caused primarily by a slump in the vital tourism sector. Remittances from Egyptian expatriates have also fallen, and double digit unemployment and inflation rates have compounded the nation's economic woes. Egypt is also fighting an insurgency by Islamic militants in Sinai. Last week, el-Sissi, the general-turned-president elected in 2014, spoke publicly about what is commonly known as the "dollar crisis" for the first time. He complained that many Egyptians were hoarding U.S. dollars in the hope of a much more favorable exchange rate in the future. "Tomorrow, God willing, people will go to the banks to change their dollars," he confidently declared, using the vernacular Arabic "bokrah," or tomorrow, to mean the near future. He did not elaborate, but he has often warned the last few weeks that Egypt faces tough decisions in order to revive its economy.